Bennett, P. A. (2019) The effects of music in the foreign language learning classroom. 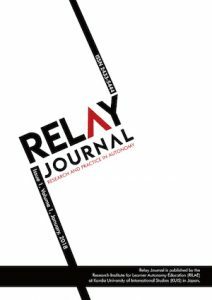 Relay Journal, 2(1), 6-16. In this paper the author poses and seeks an answer to the question, “Is music an effective tool in secondary and post-secondary foreign language learning classrooms?” By observing articles and research ranging from the historic intertwinement of language and music to its use as a medium for learner choice, the author details music’s benefits on foreign language learner cognition, affect, motivation, and identity as well as the challenges involved. Additionally, the author presents some possible ways the introduction of music into the classroom can be a catalyst for learner and teacher autonomy. In this paper, I will address a question that has been in the back of my mind for over a decade as a second language teacher and learner. That question being, “Is music an effective tool in secondary and post-secondary foreign language learning classrooms?” I have always assumed the answer to the question was a resounding, “Yes!” However, despite holding this opinion, I have made few attempts at using music (i.e., singing, listening to, and analyzing songs) in teaching adolescents and adults as well as in my own second language learning pursuits. One reason for this was simply due to its infrequent use within the teaching environments I have worked in –– notably Japanese senior high schools and English conversation (eikaiwa) classes for adults (e.g., Engh, 2012, p. 113) by other teachers. Another reason was being unaware of how to best implement music in a classroom or if it even had any pedagogical worth. There are a number of studies which investigate the role of music in first language(s) acquisition (FLA) and second language acquisition (SLA), spanning from the fields of neuroscience to TESOL/FLI (foreign language instruction) (Dolean, 2016). In the following paper, I will share what I have found of salience while seeking an answer to the question. The relationship of language and music is documented throughout history (Abbott, 2002; Kao & Oxford, 2014; Lieb, 2008; Patel, 2010; Stansell, 2005), in fact, history itself has been encoded in the lyrics of songs, i.e., oral tradition (Patel, 2010; Stansell, 2005). Oral tradition is defined as “the first and still most widespread mode of human communication…[it] refers to a dynamic and highly diverse oral-aural medium for evolving, storing, and transmitting knowledge, art, and ideas” (Britannica, 2010, par. 1). Kao and Oxford (2014) also detail how music and language have been “holding hands” for thousands of years; going on to say, “that music inspires language, and language enlivens the music” (p. 116). Further, millennia before iPhones and other technologies and services used for personalized music consumption, music (akin to language) was a collective activity (Engh, 2013), meaning it evolved as something shared between people. Thus, with music existing as a collective activity throughout human history it can be hypothesized that music could be foundational in most spoken second language learning contexts. Engh (2013) lists a number of studies that detail the positive pedagogical impacts music has, some of which are fostering social harmony, creating a safe space for language use, and the building of “a cohesive community, that many teachers explicitly strive to establish for their learners in the classroom” (p. 114). Looking into our own lives, many of us use music (notably singing) as a collective activity in our spoken languages by participating in group activities such as recreation, religious ceremonies, and celebrations (e.g., karaoke, hymns, birthdays, etc.). Furthermore, music is a part of the process of how most children acquire their first language (Cook, 1997; Engh, 2013; Patel, 2010; Stansell, 2005). Therefore, as music also being a form of language play, the utilization of music in language learning classrooms can add not only a sense of community but also a sense of personal enjoyment. These positive effects which music fosters in a second language learning classroom context leads us to Krashen’s “affective filter hypothesis” (Krashen, 1982) which argues that the ideal situation for learning occurs when a learner experiences low anxiety. Thus, if a lowering of learners’ anxiety can be observed, based on Krashen’s hypothesis, a more impactful second language learning environment is created for learners and teachers. In a small-scale study, Lieb (2008) set out to answer three questions, “Can the use of music increase positive attitudes towards learning English? Can music decrease learner anxiety towards English listening comprehension activities? [and] Is there a link between musical ability and level of English?” (p. 522). The small-scale study conducted at a Japanese university consisted of two groups of 10 learners each. One group was made up of beginning English learners who had TOEIC scores less than 250 and the other group of advanced English learners with TOEIC scores above 500. Lieb also points out that each of the classes had more than 10 students each, however, only the students who filled out both (pre and post treatment) of the questionnaires were a part of the study. The questionnaire was a Likert scale questionnaire inquiring about the students’ feelings of English (e.g., Learning is difficult) as well as questions about their feelings of music (e.g., I enjoy music). Lieb (2008) observed “a slight increase in positive attitudes toward learning English” (p. 525) in both classes. The researcher concludes, “[t]his is consistent with Krashen’s (2003) Affective Filter Hypothesis and indicates that music can lower the affective filter and increase the flow of positive emotions during the learning process” (p. 525). As for the last question, there was no link between music ability and the level of English (cf. Milovanov & Tervaniemi, 2011). The reason I chose this small-scale study was due to how easily the changes in learner affect can be observed through the introduction of music to a language-learning classroom. Next, in a similar but much more detailed and larger study, Dolean (2016) set out to answer the questions, “Can teaching songs during regular FL [foreign language] lessons reduce class average anxiety?” and “Can teaching songs during FL lessons influence differently the anxiety of students from classes with different anxiety levels?” (p. 642). The participants in this study were 8th graders (n=106) who were learning French and English as a foreign language in Romania. It should be noted that although the students studied both English and French, this study was solely focusing on French. The students were divided into four classes: ExpHi (high-language anxiety learners), ExpLo (low-language anxiety learners), CtrHi (control group of high-language anxiety learners), and CtrLo (control group of low-language anxiety learners). Dolean found that despite a general lessening of anxiety in both the ExpHi and ExpLo groups “it was only the ExpHi group that reported a significant decrease in anxiety” (p. 649). Dolean concludes that “teaching songs during FL classes can decrease significantly the average level of FLCA [foreign language classroom anxiety] of classes with a rather high anxiety, but not the average level with rather low anxiety” (p. 650). As the studies show, music is effective in lowering anxiety, especially with high anxiety language learners (i.e., those who need it most). Interestingly, music utilization in TESOL classrooms expands well beyond just that of lowering the affective filter. A substantial amount of research highlights how not only music can add to a TESOL classroom but how musical ability enhances the cognitive process in SLA (Engh, 2013; Milovanov & Tervaniemi, 2011). Notably, how “music often provides an important mnemonic device for storing long sequences of linguistic information” (Patel, 2010, p. 23); enhance learning language specific skills, e.g., grammar, (Tavakoli, 2013) and elicit involuntary mental rehearsal, e.g., Murphey’s (1990) the song-stuck-in-my-head phenomenon (SSIMH). Milovanov and Tervaniemi (2011) state that, “musical training can modulate brain functions in a holistic manner, causing even structural changes in the brain morphology” (p. 1). Additionally, Fedorenko, Patel, Casasanto, Winawer, and Gibson, (2009) found, “that some aspects of structural integration in language and music appear to be shared” (p. 6). Based on the evidence of the cognitive intertwinement of music and language, using music as a tool for enhancing learners’ cognition in their second language learning pursuits is praxis. In a study conducted by Tavakoli (2013) the effects of Task-Based Language Teaching (TBLT) accompanied by songs (i.e., music) in an EFL classroom was investigated. The researcher states that “among the major issues raised by classroom Second Language Acquisition (SLA) research is the controversial question of whether and how to include ‘grammar’ in second language acquisition classrooms” (p. 112-113). Tavakoli additionally highlights how “most people would agree that too often they find grammar instruction to be boring” (p. 113). Therefore, music was used in order to make grammar instruction less boring, as the researcher points out, “adults spend 40-50% of their time listening to audio materials compared to 11-16% of their time reading texts” (p. 117). However, I feel it should be noted that the source used by Tavakoli, (Iskold, 2004), cites statistics that are over forty years old and it’s possible that the advent of the Internet which possibly has increased the volume of text adults read alters those percentages. Given, the argument could be made that the average time spent reading text on the Internet isn’t read as critically and attentive as one would read a novel but is passively by skimming and scanning. Putting that aside, the study sought out to “examine the effects of TBLT accompanied with songs on the participants’ achievements in learning L2 grammar and their attitudes” (Iskold, 2004, p. 118). This study consisted of three groups of learners: a group learning via TBLT plus using songs, another with TBLT only, and one through the PPP (present, practice, and produce) procedure. Since PPP is one of the major teaching methodologies of grammar (Tavakoli, 2013), the PPP group was treated as the control group. The following two research questions were addressed by the researcher: “Does presentation of grammar through task-based language teaching accompanied by songs affect students’ learning some L2 grammatical aspects?” and “Does the combination of TBLT and songs for teaching grammar introduced in the study change students’ perception of the method effectiveness, self-achievement, and the overall language class environment?” (Tavakoli, 2013, p. 118). The participants in this study were all male L1 Persian speakers (n=75) ranging from 16 to 17 years of age who were equally divided into 3 classes (n=25). The songs used in this study were taken from The ESL Song Directory (Carrier, 1994). Two tests were administered to the participants before (pre-test) and after (post-test) the treatment. The pre-test was “to assess the subjects’ knowledge of grammatical points prior to the treatment so as to make sure that the participants were not familiar with the target structures [and the post-test was to] measure the learners’ acquisition of grammatical points after the treatment” (Tavakoli, 2013, p. 120). Each test consisted of 20 teacher-made multiple-choice questions which tested the participants exclusively on the grammar covered in the classes. Additionally, to test face validity both the tests were submitted to two experts in language testing; both tests were “deemed qualified as to the purpose of the study” (Tavakoli, 2013, p. 120). A second assessment aimed at gauging students’ attitudes of the language class, their perception of teaching ability, and the general class environment was administered after the completion of each chapter for a total of four times. The assessment was a brief Likert scale questionnaire consisting of 3-items. The findings of the study showed that TBLT accompanied with songs “performed significantly better on the post-test than both the second experimental group [TBLT only] … and [much better than] the comparison group [PPP]” (Tavakoli, 2013, p. 125). As for the attitudes of the groups, the TBLT group that was accompanied with songs had positive results towards the classes, which is congruent with the previous studies mentioned in this paper (i.e., Dolean, 2016; Lieb, 2008), however it should be noted that the TBLT only class also resulted in more positive attitudes in contrast to the PPP group. The researcher concludes “that the use of tasks plus songs in EFL classrooms is a central component because they provide better contexts for the activating of learner acquisition processes and promote L2 learning” (Tavakoli, 2013, p. 128). So, is music an effective tool in foreign language learning classrooms? The evidence would suggest the answer is more than a resounding, “Yes!” but, “Of course!” Yet, after investigating this question, it became apparent that the inquiry was too broad due to music being too general a term. Instead of music being thought of as a tool it should be conceptualized as a toolbox. The rationale behind this analogy is that its uses can serve a number of functions, two of which were covered in the paper: positively influence learner affect by lowering the affective filter (e.g., Lieb, 2008; Dolean, 2016) and provide contextualized content for grammar study (Tavakoli, 2013). Furthermore, it must be stressed that the music can aid second language learning in additional ways ranging from target-language pronunciation (Milovanov, Pietilä, Tervaniemi, & Esquef, 2010) to fostering autonomous learning practices (e.g., Kao & Oxford, 2014; Chik & Ho, 2017). Also, one aspect, and (arguably) the most important one, of the question this paper is based on is of music itself. Music is a very generic term as there are various genres of music such as: pop, classical, rap, rock, folk, etc. Additionally, within the genres there are more genres and subdivisions (e.g., enka, metal, etc.). The predominant music type which are mentioned throughout these studies is pop music (e.g., Abbot, 2002; Murphey, 1992; Tavakoli, 2013) and although pop music is enjoyed and found interesting by most students, it might not be to others (Lieb, 2008). Therefore, the different tastes in music (i.e., individual differences) must be taken in to account. Further, not all songs are ideal for all TESOL classes, as Abbott (2002) points out, “factors to consider when selecting a song are tempo, clarity of vocalization and enunciation, stress, amount of repetition, language level, word order, and the extent of metaphorical usage” (p. 11). The author continues, cautioning, “[to] not use certain songs (e.g., rap and heavy metal songs) because the words are obscured by the thick instrumentation [and because] the lyrics are offensive. Songs with offensive lyrics generally should be avoided…” (Abbott, 2002, p. 11). Although, in contrast to Abbot’s (2002) criterion, Kao & Oxford (2013) detail on how and why to utilize Hip Hop (i.e., rap) in English language learning, suggesting that the use of “Hip Hop lyrics to learn sentence structure is very entertaining and easy, unlike the ordinary, sometimes boring textbook” (p. 118). Given, Kao and Oxford’s (2013) framing of the use of Hip Hop is as language study for self-directed learners and not classrooms (e.g., Abbott, 2002). That being said, Kao and Oxford do illuminate Hip Hop’s cultural significance (p. 117), which I believe to be a useful tool (i.e., the cultural significance of a song or genre) in the foreign language learning music toolbox worth using. As Kao and Oxford (2013) point out, music––in the authors’ case Hip Hop––can be utilized for self-directed learners by being a source of motivation. One of the authors details how song lyrics were not only used for language learning, but the content allowed the author to form an L2 ideal self (Dörnyei, 2009) and in turn shape their identity stating that their motivation was “maintained through becoming part of the culture of Hip Hop” (Kao & Oxford, 2013, p. 120). In other words, the motivation cultivated through a personal interest in music can result in the learner having a clearer ideal L2 self-image; leading to “an optimal learning context for developing L2 learner autonomy” (Ueki & Takeuchi, p. 16). Further, when looking to psychology there might be ways for learners in secondary and post-secondary learning contexts to use the “reminiscence bump”, which is autobiographical memory from adolescence and early adulthood (ages 15-30) that are disproportionately remembered over a lifetime (Koppel & Berntsen, 2014, Stern, 2014), to assist with language learning as songs (i.e., lyrics) from this time in life are remembered fondly and a part of learners’ identity. With these in mind, teachers can make assignments that incorporate learners’ musical interests. For example, a grammar-focused activity where learners translate a song of their choice from their L1 to English or vice versa; a (written or oral) report where learners give details of a song/genre/artist of their choice and what it means to them; or learners can tell a story by introducing a fondly remembered song and sharing the memories that are evoked when listening to it. These kinds of assignments, which incorporate learners’ choice (i.e., freedom) and their particular interests, can amplify learner investment in the management of and reflecting on their learning process which are indications of learner autonomy (Benson, 2007). Lastly, by promoting learner choice teachers will be actively engaged in a dynamic classroom where getting to know and understanding students will be more likely than a class without it. “And in order to engage students in autonomous and effective reflection on their own learning, teachers need to constantly reflect on their own role in the classroom, monitoring the extent to which they constrain or scaffold students’ thinking and behaviour . . .” (Smith, 2001, p. 6). Thus, by taking on this role teachers also are in a position to become autonomous teachers as they will have opportunities to “focus directly on developing a willingness and capacity for self-directed teaching and teacher-learning…” (Smith, 2001, p. 6). This paper just scratches the surface of the effects of music in foreign language learning classrooms as its uses are immense. However, it’s recommended that teachers first plan what their aims are using music for (e.g., promoting learner autonomy, grammar study, affect raising, forming an L2 self, and so on) and­­­––most importantly––how the learners will respond to it. The implementation of music, like most pedagogical acts, is dependent on the context of the class and the relationship between those involved. In other words, it’s an effective and worthwhile endeavor, however, it requires a significant amount of planning. Which might be why despite the “strong support for use of music in the language-learning classroom… [there is] actually very little occurring in most classrooms” (Engh, 2013, p. 113). Phillip A. Bennett is a graduate student in Kanda University of International Studies’ MA TESOL program. He has lived in Japan for over 10 years working with learners in various language learning contexts in the EFL field. His interests are advising in language learning and learner affect. Abbott, M. (2002). Using music to promote L2 learning among adult learners. TESOL Journal, 11(1), 10-17. Chik, A., & Ho, J. (2017). Learn a language for free: Recreational learning among adults. System, 69, 162-171. Dolean, D. D. (2016). The effects of teaching songs during foreign language classes on students’ foreign language anxiety. Language Teaching Research, 20(5), 638-653. Engh, D. (2013). Why use music in English language learning? A survey of the literature. English Language Teaching, 6(2), 113-127. Fedorenko, E., Patel, A., Casasanto, D., Winawer, J., & Gibson, E. (2009). Structural integration in language and music: evidence for a shared system. Memory & Cognition, 37(1), 1-9. Iskold, L. V. (2004). Watching video in the language classroom. Academic Exchange Quarterly, 8(3), 86-91. Kao, T. A., & Oxford, R. L. (2014). Learning language through music: A strategy for building inspiration and motivation. System, 43, 114-120. Koppel, J., & Berntsen, D. (2014). The reminiscence bump in autobiographical memory and for public events: A comparison across different cueing methods, Memory, 24(1), 44-62. Lieb, M. M. (2008). Music and listening: Learning gain without pain. In JALT 2007 Conference Proceedings. Tokyo, Japan: JALT. Milovanov, R., Pietilä, P., Tervaniemi, M., and Esquef, P. A. A. (2010). Foreign language pronunciation skills and musical aptitude: A study of Finnish adults with higher education. Learning and Individual Differences, 20(1), 56–60. Milovanov, R., & Tervaniemi, M. (2011). The interplay between musical and linguistic aptitudes: A review. Frontiers in Psychology, 2, 321. Murphey, T. (1990). The song stuck in my head phenomenon: A melodic din in the LAD. System, 18(1), 53-64. Patel, A. D. (2010). Music, biological evolution, and the brain. In M. Bailar (Ed. ), Emerging disciplines, (pp. 91-144). Houston, TX: Rice UP. Stansell, J. W. (2005). The use of music for learning languages: A review of the literature. Champaign-Urbana, IL: University of Illinois. You might even give your own example of such a song that you heard at another time and place that now when you hear it calls back to mind your contexts and people. I look forward to seeing this published and to reading more from you. Good job. Thank you for reading and responding to this article. Also, thank you for sharing your article, it was an insightful read which made me reflect on my music listening habits. For example, over the past few years I have generally been listening more to instrumentals rather than to music with lyrics. I wonder if my preference for instrumentals might have something to do with the additional affective factors that lyrics add to a composition — possibly a kind of avoidance(?). Maybe I’m losing my desire, and/or possibly the ability, to have a pseudo-dialogal experience with music (yikes). The lack of WWW in most pop music would definitely add to this paper and in my teaching practices. I will be sure to cite it in the final version. Thank you! First off, congratulations on another impressive paper. As I know some of your interests already, I can see that this one (music and the teaching of it) is one that really hits home for you. And your enthusiasm for this topic is very apparent. You mentioned some really useful purposes of music in the classroom (teaching a grammar point; telling stories etc.). One other role is collaborative team building. The “Singing Strips” activity in the article we coauthored is, I think, one example of this. The literature review was also helpful. Like Tim, I discovered some interesting new research in it. The Dolean (2016) study that found high-anxiety learners benefited especially from music in the classroom is one we should all take note of. Again, a very enjoyable and informative read! I hope you take this up more in the future. Thank you for reading and commenting on this paper. Yes, implemeting music and other forms of art/creative expressions in the classroom is something that I am interested in and hope to explore going forward. Thank you for mentioning how music can be used as colloborative team building in activities such as “Singing Strips”. If possible, I will include it in the final version of this paper. One thing that really stood out to me when doing research on this topic is the many ways music can not only be used for language learning but also enhance it, e.g., through positive affect, motivation, and (as you pointed out) collaborative learnering. Once again, thank you for the kind words and encouragement! I remember when we discussed about your concept and approach for this paper during it’s first phase and inception back in Second Language Acquisition. I am aware of your passion for language learning and background in music, and this paper is another solid, interesting, and progressive piece produced from your musical and creative studio. I recently did an article facilitation on Dr. Tim Murphey’s (1992) The Discourse of Pop Songs, and it brought back, as you mentioned, that sense of nostalgia and the SSIMH phenomenon. In my previous teaching context with very young learners, I incorporated catchy tunes from Japanese and American pop songs, and altered them (kaeuta) into greetings songs, fillers, etc. I really enjoyed your suggestions on designing assignments that encourage students to perosnalize their musical interests. I did a similar task, where I asked my kindergarteners what was their favorite part of their annual sports day. At this time, many students were under the SSIMH phenomenon caused by their parents blasting Queen’s We will rock you (e.g., Bohemian Rhapsody movie boom), so with that we got together to create a chant while doing gymnastics: We love, we love, GYMNASTICS! As your classmate, peer, friend, and fan of your music, mahalo for sharing this expressive and delightful paper. I look forward to what you have in store next!